This past weekend I attended a leadership conference that’s annually held by the American Institute of Architecture Students (AIAS) called Grassroots in Washington DC. For those who don’t know what AIAS is, they are a student run organization that bridges the gap between the student and the professional world. There are over 150 chapters based out of architecture schools across North America and the popularity is spreading to other parts of the world. At Grassroots these chapters can interact and collaborate with one another to generate new ideas which then can be brought back to the college or university for implementation. 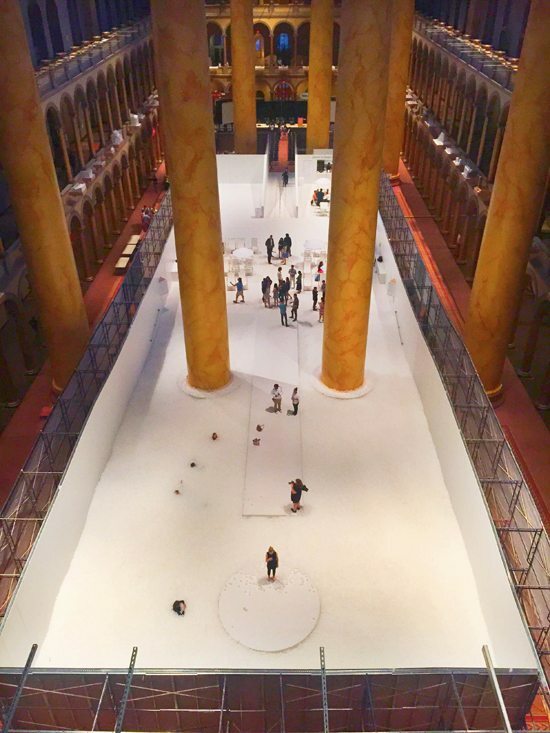 On the first night of the conference there was an opening ceremony held at the National Building Museum which, for the summer, has an exhibit called the DC Beach. 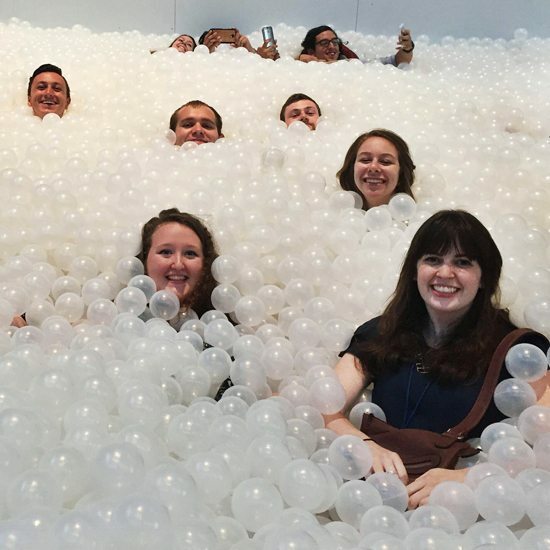 This temporary exhibition is a giant ball pit yet it was designed to look and be used like a beach by including umbrellas and chairs and a sloped floor to allow “wading” into the pit. The DC beach was designed by Snarkitecture who gave a presentation to the AIAS and AIA before allowing us into the beach. They said one of their favorite parts of designing projects like this is seeing how the people interact with it once it’s complete because that can’t always be anticipated beforehand. I saw what they meant when we were all allowed into the beach because members of the people immediately started using it in different ways. Some waded in, some went down the center runway and dove right in while others sat on the edge and let their feet dangle in amongst the clear balls. At its deepest it was probably 3 feet but with people moving around pushing the balls sometimes it felt deeper and gave it a life of its own. All around people were laughing and having a great time exploring. The DC Beach brought the “kid” out of everyone.